Renovation work on the first floor of Reynolds Hall has been completed, and students taking summer classes at Missouri Southern State University are already utilizing the new space. The university’s Board of Governor’s received an update on the project during a meeting held Wednesday, June 14. 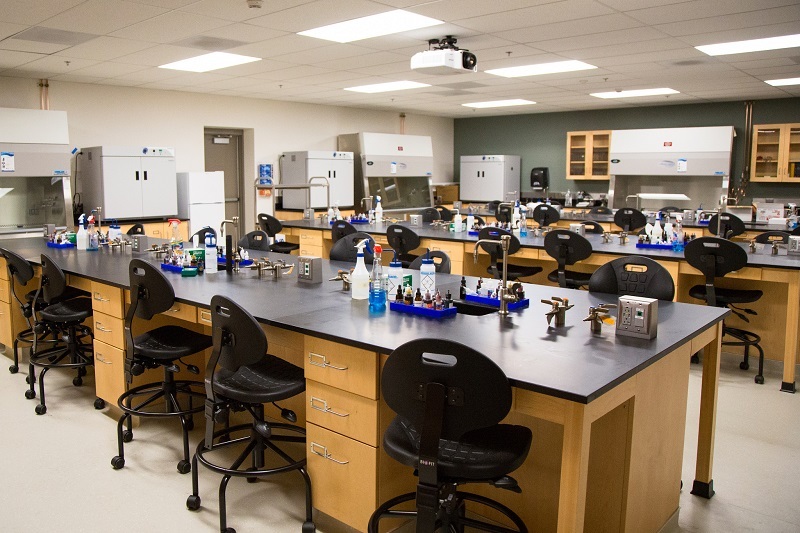 The renovations to the first floor included construction of tiered classrooms, biology and microbiology labs, a student study room and computer area. The work comes on the heels of work on the building’s third floor, which was completed before the start of the spring semester. “After all the dust has settled, we’ll have renovated more than 50 percent of the building,” said Rob Yust, vice president of business affairs. Last year, former Gov. Jay Nixon announced funding to allow for much needed renovations to the building, which houses the biology, environmental health, physical science and mathematics programs. It will also allow for the construction of a new building, which was announced as Nixon Hall during a groundbreaking ceremony last fall. Located on the south side of Reynolds Hall, Nixon Hall will be connected via a skywalk off the main hall of Reynolds’ second floor. Designed by Paragon Architecture, the three-story, nearly 20,000-square-foot building will feature classrooms and offices, primarily for the STEM-field programs. Yust said construction is expected to begin in late summer or early fall. Earlier in the day, the Board of Governors met for their annual retreat. Members discussed the university’s mission statement, as well as vision and values statements. “It was the beginning of the beginning of our strategic planning for the university,” said Dr. Alan Marble, president of MSSU. In other business, the board conducted its election of officers. The current slate of officers was re-elected by unanimous vote; Mitch McCumber as chair, Bill Gipson as vice chair, Linda Eis as treasurer, and Sharon Odem as secretary.